Mathew Higbee is a member of the State Bar of California (License #241380), State Bar of Minnesota (#0388759) , State Bar of Nevada (License #11158), State Bar of Michigan (License #P73980), State Bar of Washington (License #42755), and the Utah State Bar (Licence #11133). He has represented clients in hundreds of courts and in multiple states. He has served as prosecutor and defense counsel. He is also admitted to practice in United States District Courts in California and Utah. Mr. Higbee graduated from California Polytechnic State University at San Luis Obispo with a degree in journalism. He served as editor and publisher of the Poly Review. He went on to earn his juris doctor from the S.J. Quinney College of Law at the University of Utah (US News & World Report Tier 1 law school), where he served as president of the student body (SBA) and earned a nomination and finalist for the American Bar Associations President of the Year honor. Other honors included being a member of one of the two national moot-court teams, and receiving numerous scholarships, awards, and fellowships, including an invitation to participate in the prestigious United States Presidential Management Fellowship. 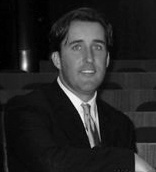 Higbee served as a member of the Board of Trustees for the University of Utah's S.J. Quinney College of Law. Mr. Higbee clerked for Utah's largest plaintiff's firm, Siegfried and Jensen, and for the District Attorney of Salt Lake City, where he tried cases under the state's third-year practice rule. He also received the University of Utah and Utah State Supreme Court's award for outstanding commitment to pro bono service. Prior to attending law school, Mr. Higbee spent ten years serving as a senior consultant to more than a dozen congressional campaigns. He also worked on Capitol Hill as a legislative analyst for the Honorable Andrea H. Seastrand during the 104th Congress. Mr. Higbee is a member of the Orange County Bar Association, Salt Lake Bar Association, and the National Native American Bar Association. Mr. Higbee is a member of the Citizen Potawatomi Nation— the 15th largest federally recognized Indian tribe. Sacramento Brain Injury Lawyer-Sevey and Talcott - Sevey and Talcott are personal injury lawyers located in the Sacramento California area specializing in brain injury and catastrophic accidents. Contact them today for a free evaluation. Gregory Patton is a Phoenix Arizona Personal Injury Attorney that handles medical malpractice, nursing home abuse, personal injury and wrongful death cases. Attorney Greg Patton located in Phoenix Arizona. Confirmed.